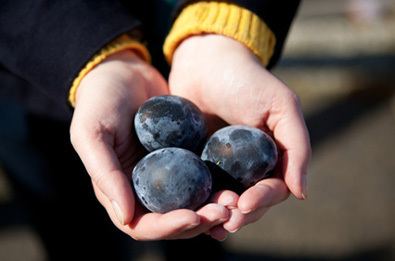 Hakone (pop. 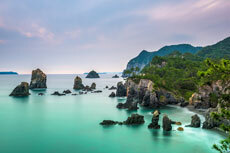 13,500) is one of the most popular tourist destination for day trips or 2-day breaks from Tokyo. 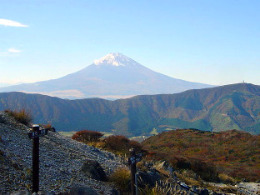 It is part of the Fuji-Hakone-Izu National Park (see also Mount Fuji and Izu peninsula) and is a prime location to contemplate the majestic Mount Fuji. 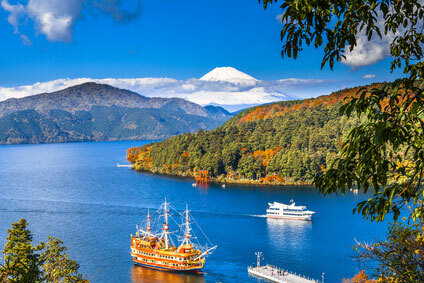 Snuggled up against Mount Hakone and Lake Ashinoko, the charming little town has a lot to offer: pleasant hikes with stunning scenery, famed hot springs resorts, some very decent art museums, a mountain railway, a ropeway and a cable car. Tokyoites take advantage of a trip to Hakone to shop for brands at Japan's biggest outlet mall in nearby Gotemba. Please check official websites in link for the attractions' opening hours and admission fees. 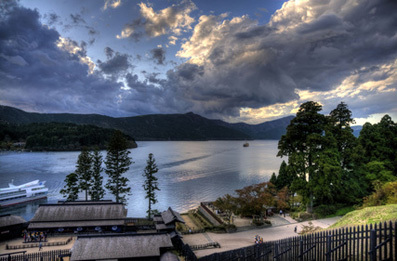 Lake Ashi (芦ノ湖), also known as Hakone Lake or Ashinoko Lake, is the focal point of a visit to Hakone. 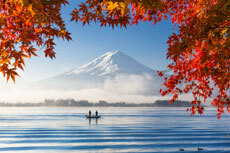 The lake stretches some 6 km (4 miles) from north to south, with Mount Hakone rising to its east. The Hakone ropeway ends at Tōgendai, on the north-eastern shore of the lake, which is also where Odakyu buses from Tokyo arrive (see "How to get there" below). The southern side of the lake is the town and the marina. This is the ideal spot to snap of picture of Mount Fuji in all its grandeur, a favourite location for professional and amateur photographers alike. 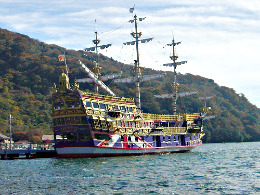 You can take a sightseeing cruise on the lake onboard one of the four replicas of historic western ships. There is a 17th-century Swedish frigate, a 17th-century French warship, an 18th-century British Man-o-War and a 19th-century American paddlewheel steamer. All are operated by Odakyu and journey between Tōgendai and Hakone-machi or Moto-Hakone. One of the most popular attractions, especially with children, is the Ōwakudani (大涌谷) Nature Trail, where you can see geysers in full activity. 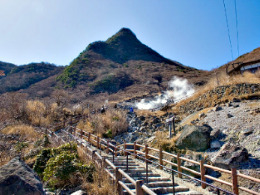 Located in the crater of Mount Hakone, the "Great Boiling Valley", as Owakudani translates, takes its name from the underground volcanic activity from where emanates sulphuric vapours and rocky ponds reach boiling temperature naturally. You can mimick the Japanese and buy some local "onsen tamago" (eggs cooked in hot springs), which here are called more specifically "kuro tamago" ("black eggs") due to the colour of their shell, blackened by sulphur. They are supposedly good for health ; the Japanese will tell you that it prolongs life by seven years, but they will also praise the virtues of hot springs to irrational extents, even if it means scorching yourself in 50°C/120°F water. So take it with a grain of salt (not that this will benefit your health). You can reach Owakudani using the ropeway (between Sōunzan and Tōgendai), the walking 10 minutes to the edge of the crater. If you are equipped with proper walking shoes you can hike all the way back to Lake Ashi via the rocky slopes of Mount Kami ("Kamiyama") and Mount Koma ("Komagatake"). This will take approximately two hours. The Hakone Botanical Garden of Wetlands ("Hakone Shisseikaen" 箱根湿性花園) is located in the Sengokuhara neighbourhood, in the northern part of town, roughly 3 km (2 miles) north of Tōgendai station. 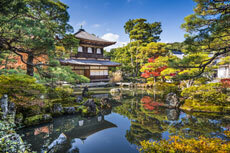 It was founded in 1976 as Japan' principal garden dedicated to plants growing in swamps and marshes. Visitors will find their way among 1700 varieties of plants, including 1300 sorts of alpine plants and 200 of marshy plants. The authorities have taken care to put up signs in English as well as in Japanese. The best season is visit is late spring (June for the daylilies). The gardens are closed for the winter from December to late March. Hakone is not just famous for its landscapes and the views of Mount Fuji. It has a suprisingly fine range of art collections, boasting many world-class artists that you usually won't find anywhere else in Japan outside Tokyo. For instance, the Hakone Open Air Museum ("Hakone Chokoku No Mori Bijutsukan" 彫刻の森美術館) presents a harmonious display of 120 modern and contemporary sculptures by such celebrated artists as Pablo Picasso, Joan Miro, Henry Moore (26 pieces by the English sculptor), Jean Dubuffet, Carl Milles, Giacomo Manzù, Willem de Kooning or Barbara Hepworth. Picasso has its own dedicated pavilion, one of the largest collections worldwide by the Catalan master, exhibiting over 300 works, from paintings and prints to ceramic creations or gold and silver objects. If you think it is over, you are mistaken. The Picture Gallery will astonish you with its array of paintings by Renoir, Kandinsky, Miro, Utrillo or Vlaminck, just to cite a few. The museum is the penultimate stop ("Chokoku-no-Mori") on the Hakone Tozan Railway. The next stop is the Hakone Museum of Art, sister museum of the MOA Museum of Art near Atami, in the Izu peninsula. Founded by Okada Mokichi in 1952, this museum is entirely devoted to traditional Japanese pottery and ceramics, from the Neolithic period (Jōmon) to the pre-industrial era of the Tokugawa shogunate. Among the notable exhibits are terracotta Haniwa burial statues from the Kofun period, which remind of the more famous terracotta army of Xian in China. One unexpected appeal of the museum is its delightful traditional moss garden, with its elegant cobble path winding around bamboo groves and momiji (Japanese maples) turning beautifully yellow and red in autumn. Having green tea at the Shinwa-tei Teahouse is as much patr of the visit as scrutinizing the earthenware inside. You can reach the museum by cable car to Sōunzan station. Hakone-machi, and the southern tip of Lake Ashi, is the famous site of the Hakone Checkpoint ("Hakone Sekisho" 箱根関所), where during the Edo period (1603-1867) travellers on the Tōkaidō, the main highway between Kyōto and Edo (Tōkyō), had to stop and have their travel permits and baggage examined. It is still the official boundary between the Kantō and Chūbu regions. The shōgun in Edo kept his feudal lords ("daimyō") and their close relatives virtually hostage in his castle, so as to discourage local rebellions. 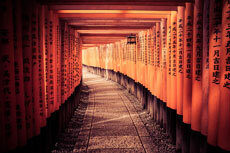 The main purpose of the checkpoint was to prevent these daimyō or their supporters to escape from Edo. Male violators were summarily executed. Women were stripped of their honour by having their head shaven and being sexually abused by the guards. The guardhouse, originally built in 1619, is a faithful reconstruction from 2007. Immediately north of the checkpoint is the Hakone Imperial Park (恩賜箱根公園), on a small peninsula, where stands the solemn Hakone Detached Palace (旧函根離宮), also known as the Imperial villa. It was built in 1886 as a country residence for Emperor Meiji. Walk a few minutes north along the Tōkaidō road to Moto-Hakone to reach the Amazake Chaya (甘酒茶屋 - literally "Sweet Alcohol Teahouse"). It was founded 350 years ago, although the house was rebuilt in 2009. The Chaya serves sweet rice wine and contains the small Tōkaidō Museum. Still in Moto-Hakone, the Narukawa Art Museum (成川美術館) is specialized in Nihonga, a traditional Japanese style of painting with roots in the Heian era. The gallery, however, displays works by modern masters making use of the old techniques, rather than works by medieval artists. Back to the north of town, near the Botanical Gardens, you will find the Venetian Glass Museum ("Hakone Garasu no Mori Bijutsukan" 箱根ガラスの森美術館), where over 100 Italian glass vases, lamps, sculptures and other objects are on exhibit in Italian style houses. The remaining art gallery in the list is the POLA Museum of Art, also in Sengokuhara. Opened in 2002 by POLA Cosmetics, its permanent collection was privately assembled over 40 years by the company's late owner, Suzuki Tsuneshi (1930-2000). The 9,500 works of art are eclectic, with 400 European paintings (Impressionists like Renoir, Gauguin, Monet, and 20th-century big names like Modigliani, Chagal, Picasso or Kandinsky), but also and mostly traditional Japanese paintings, ceramics, glassware, etc. Odawara Castle (小田原城,) is one of the nicest medieval castles in the Greater Tokyo region, although smaller than Chiba-jō. Keep in mind that it is just a recent concentre reconstruction and it will never compare to the splendour of original castles still standing like those in Matsumoto, Himeji or Matsuyama. 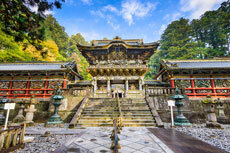 There are two moderately interesting Shintō shrines in town, the Hakone Gongen, in the south-east corner of Lake Ashi, near Moto-Hakone, and the Hakone Daitengun-jinja, in Sukumogawa, along the Hakone New Way (half-way between Hakone-machi and Odawara). 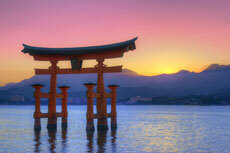 The name 'Hakone' is indissociable from the one of onsen (hot springs). The town has been famed for its thermal waters for centuries. There are onsen all over the region, but Yumoto is the most famous one. The commonly recommended places are the Tenzan Tōjikyō (天山湯治郷), the Hakone Kamon (箱根花紋), or else the Yu no Sato ( 湯の里) on the 8th floor of Hotel Okada. Other famous establishments include the Hakone Kowakien Yunessun (箱根小涌園 ユネッサン) in Kowakudani, the Rakuyujurin Shizenkan (楽遊壽林自然館) in Miyanoshita, and the Hakone Green Plaza Hotel in Sengoku. If you are going to Hakone from Tokyo (as most people do) the Odakyu Railway offers the cheapest and most scenic option to get there. Odakyu trains leave from Tokyo's Shinjuku station. You can choose between the Odakyu Romance Car (about 1h30min, ï¿¥2,020) or the Odakyu Highway Bus (2h15min, ï¿¥1,950). The train stops at Hakone Yumoto station, via Odawara. The bus terminates at Hakone Tōgendai or Hakone Garden, both on the shores of Lake Ashinoko. Odakyu services also go to the Gotemba Premium Outlets. There are no trains between Gotemba and Hakone, but buses will make the return journey. If you have the Japan Rail Pass or come from Yokohama, Nagoya or the Kansai region, you can also reach Hakone by shinkansen ("bullet train"). Odawara station is on the main shinkansen line between Tokyo and Osaka. Although Odawara is in Kanagawa prefecture (like Yokohama), which makes it a part of the Greater Tokyo, the journey from Nagoya and Tokyo take exactly the same time (1h10min or 1h25min depending on the train type), and not much longer than from Yokohama (55 to 65min). From Odawara station you can either catch a taxi to your hotel or first destination in Hakone, board the tourist Hakone Tōzan Railway, which is more like a city tramway, strolling leisurely through the streets of Hakone.